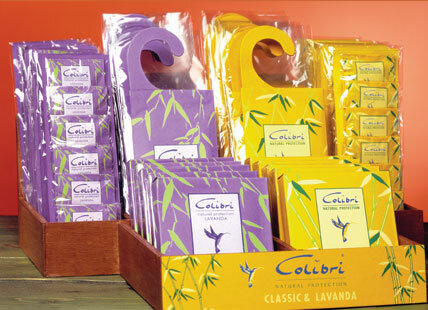 The Colibri sachets are hand made in Auroville in India from a range of natural botanical essences. The wisdom behind Colibri, is that by observing insects in a natural environment it is possible to find plants which repel them – Colibri is the result of this observation. As such, it is proven to be an effective and most importantly a safe product. The entire range of Maroma products comply with the guidelines of the International Fragrance Association (IFRA). The ethos of Maroma is to make ‘beautiful products of quality’ while ploughing back 45% of their profits into the local community. Copyright 2004 -Colibri Anti Moth Solutions. All rights reserved.